Enjoy this post by the founder and president of College Essay Organizer, Daniel Stern! 1. Don’t write a traditional 5-paragraph essay with a thesis, body, and conclusion. Take some risks with the structure and show your personality. Use the first person and just start writing. See what happens. You can pose a question or start with a distinctive opinion on a topic. Almost anything goes. We’ve all heard about the student who wrote his essay about his childhood years with a crayon and got accepted to every college. The likelihood of this being true is slim. It’s like communism: good in theory, not so much in practice. Let the substance of your writing be the real story. 3. Don’t come off as arrogant. This can be difficult, because part of what you’re trying to do with your personal essay is highlight something positive about yourself. But it’s one thing to call yourself awesome in your own essay and quite another to write about things you’ve done that demonstrate how awesome you clearly are. The old rule of writing applies here: show, don’t tell. You shouldn’t come off like a bad Hallmark card. Let’s be serious — you’re not somebody who is so inspired by the beauty of the world you are brought to tears at the sight of a single flower. Come on. You know over-sentimentality when you see it, so keep it out of your essay. Be genuine and the real power will come through. 5. Don’t use overly formal language. 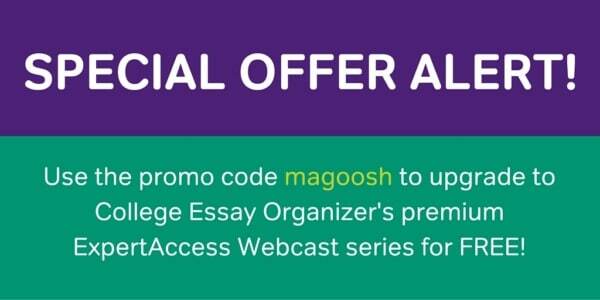 To help you get started writing all your college essays, create your free College Essay Organizer account here, and use the promo code magoosh to upgrade to our premium ExpertAccess Webcast series free! In 2008, Daniel founded the internationally acclaimed web technology, College Essay Organizer, which is now used by tens of thousands of students worldwide, hundreds of leading educational consultants, and some of the most elite high schools in the country. 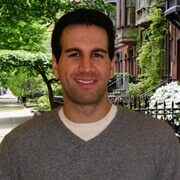 Daniel has since become one of the nation’s foremost public speakers on the college essay and application process. Will a Great Essay Get Me Into College?